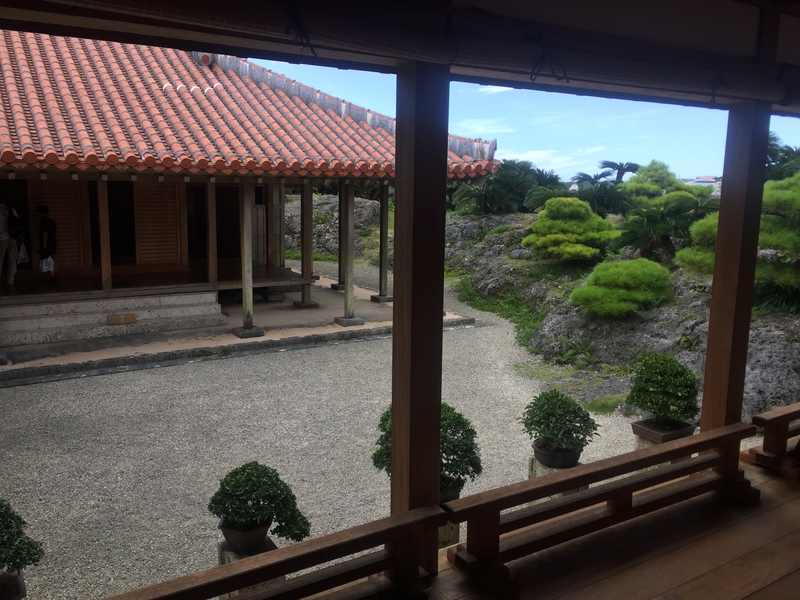 Our trip to Okinawa was simply amazing. I didn’t expect I would enjoy it that much. I always complained to Sing that until we move to Hong Kong I don’t really want to visit other destinations in Asia as I feel that I miss out the time I could spend in Hong Kong, but oh boy! I was wrong. For our 5th wedding anniversary we chose to treat ourselves to Hawaii of Asia. 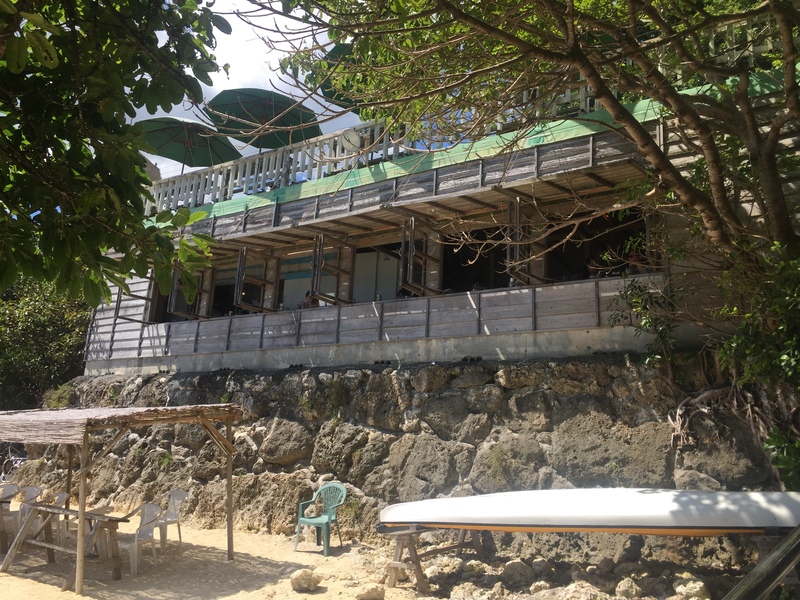 I’ve been to ‘the original one’, I brought many good memories from there so I hoped Naha would give us the same feeling. 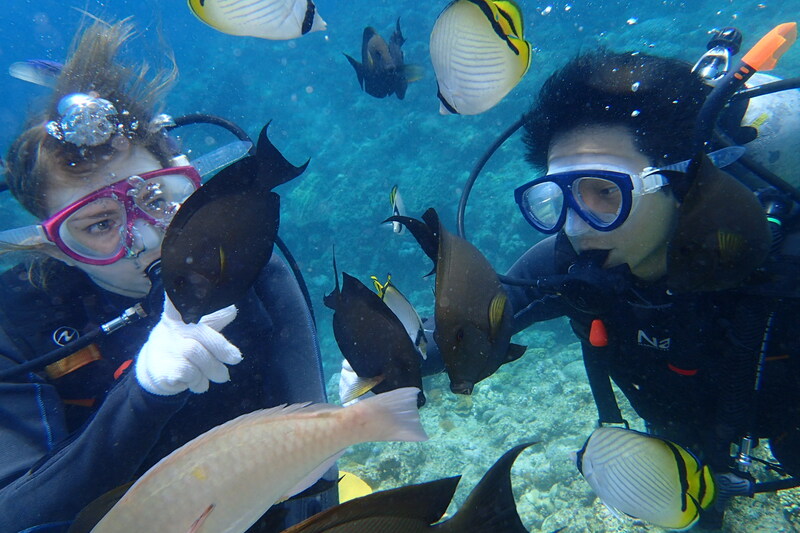 I wanted to show all of you so many beautiful places, appetizing food, take you under the water with us, but at the end we decided just to take pictures and don’t worry about vlogging. Once I hit 5 years of MyHongKongHusbandBlog I will do the vlog! But for the anniversary with Sing, we gave up. 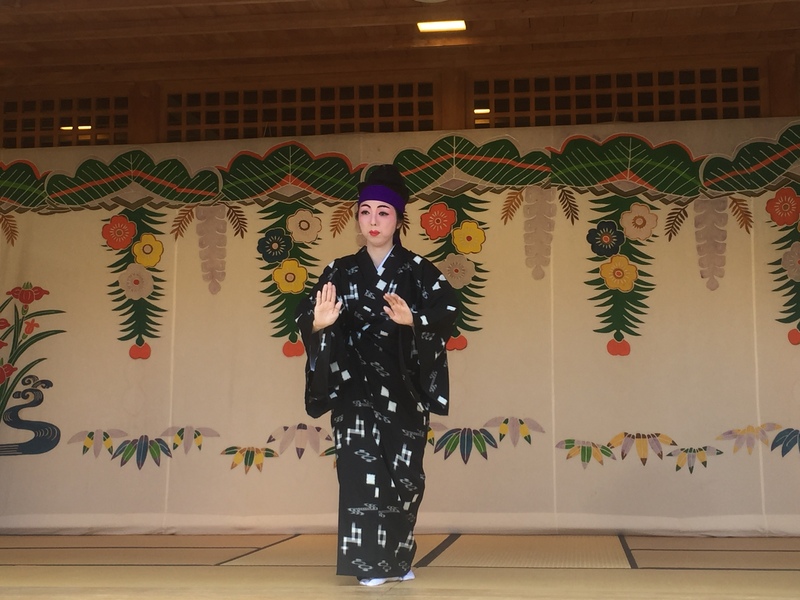 With the massive amount of photos (over 1000, just from those few days) and even bigger pile of memories, I was wondering how to write this post and not make it too difficult to read and too boring. My genius boss came to save me again – after we returned to work, he asked me to give him the highlights of our trip, choose top 3 things. So here it is! 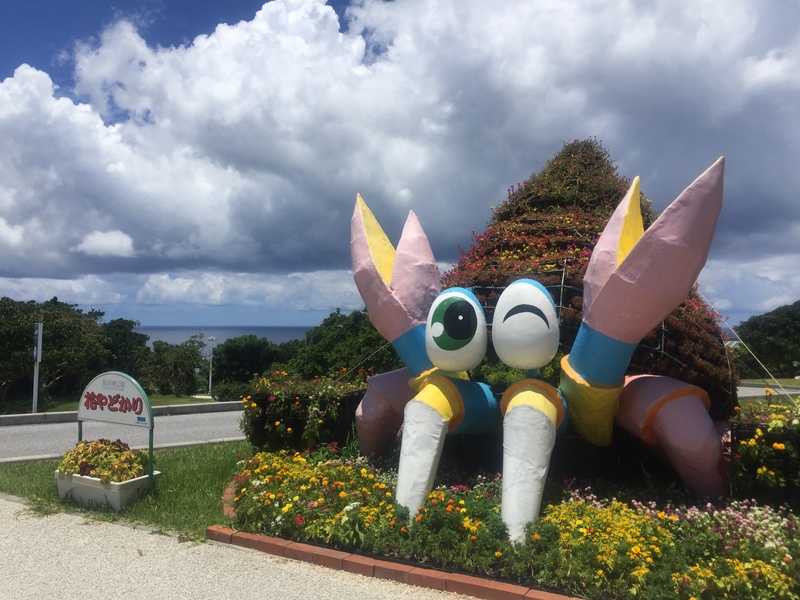 Our Okinawa Top 5 – the best in each of the categories! Definitely the most amazing time in my life, so far. 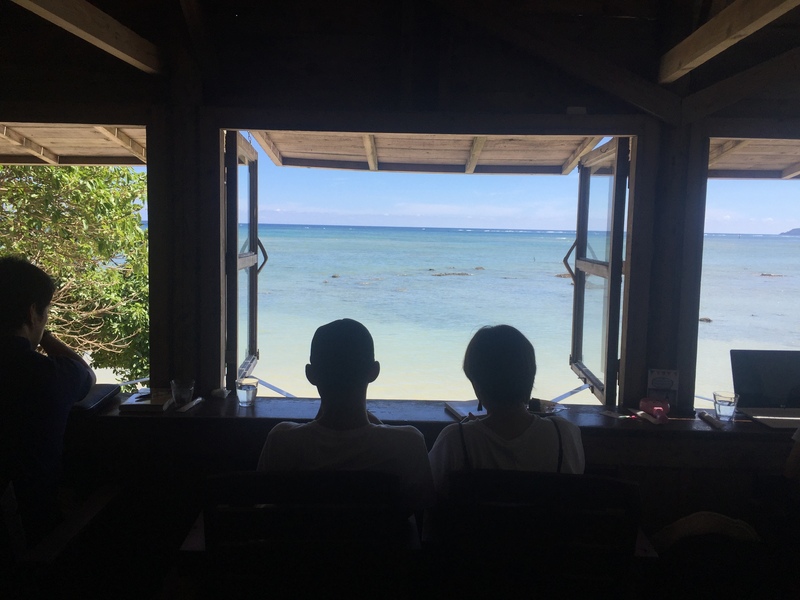 I watched Kimi no na wa just few weeks before the trip and the soundtrack was stuck in my head while my body was slowly moving under the water. The nature moved undisturbed, the time felt so slow. I felt like I was flying, but my surrendering was different. It was just so pleasant and amazing that I cannot even find words to describe it. 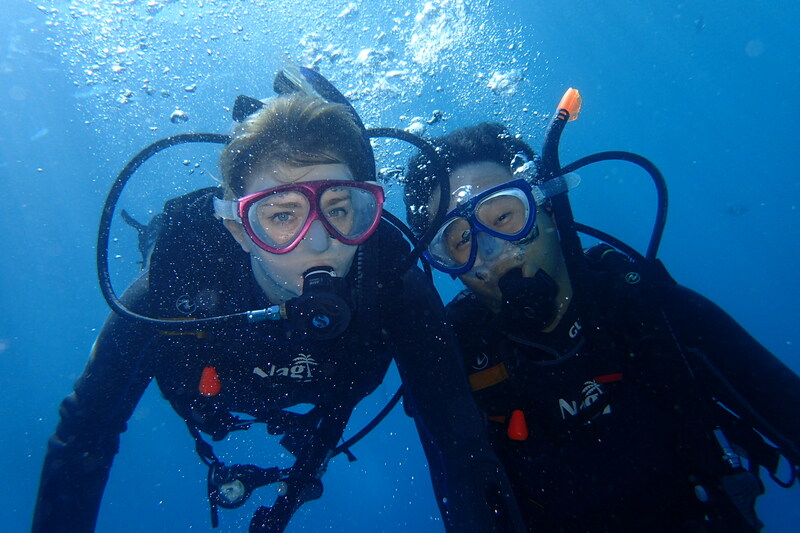 Some people took their own equipment to film, but we let out instructor to take the lead while we enjoyed the dive. I can’t tell you how overwhelmed I felt, even to this day my heart feels touched. I know it’s just diving and a lot of people do that quite often or they do it for living, but for me the time slowed down and all I could feel was freedom. 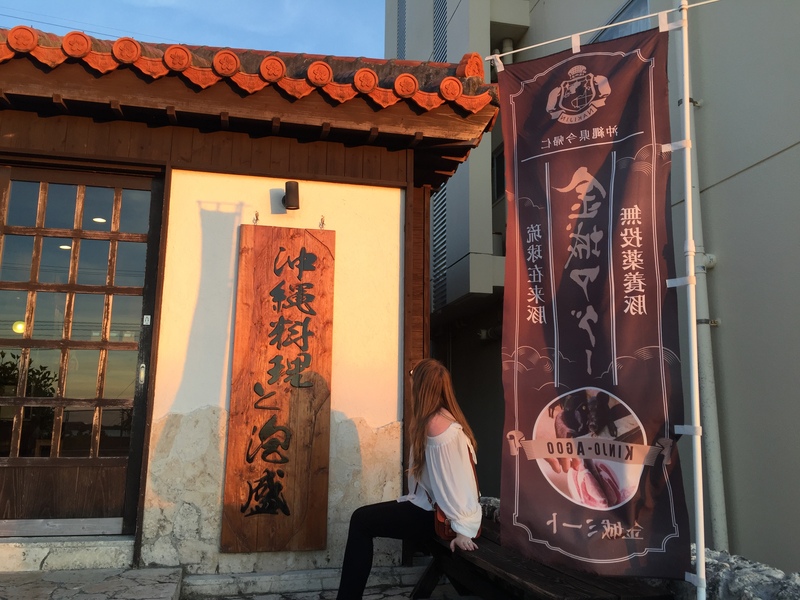 There are so many diving clubs in Okinawa, but I would love to recommend a lovely girl Saki (Sakiko) from Nagi Marine Club (501-3 Yamada, Kunigami-gun, Onna-son 904-0416). She was an awesome instructor and made me feel very safe around her. If you need her work number, just drop me a PM! 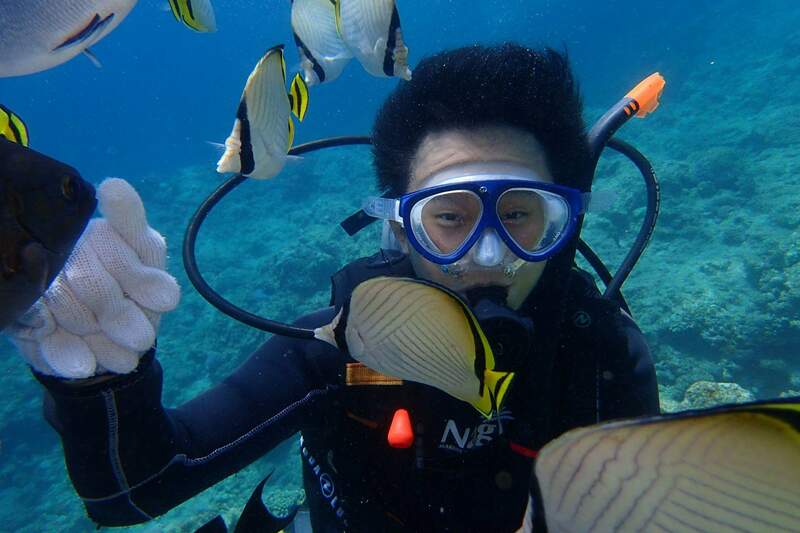 The same club also offers Chinese (Mandarin) speaking instructors and 10% discount on your next dive! Also, please forgive us looking like potatoes. For our wedding anniversary dinner we decided to go to Shima Jikan (7335-4 Onna, Kunigami-gun, Onna-son 904-0411) instead of those ‘candle dinners’ and it was the best thing we could chose. 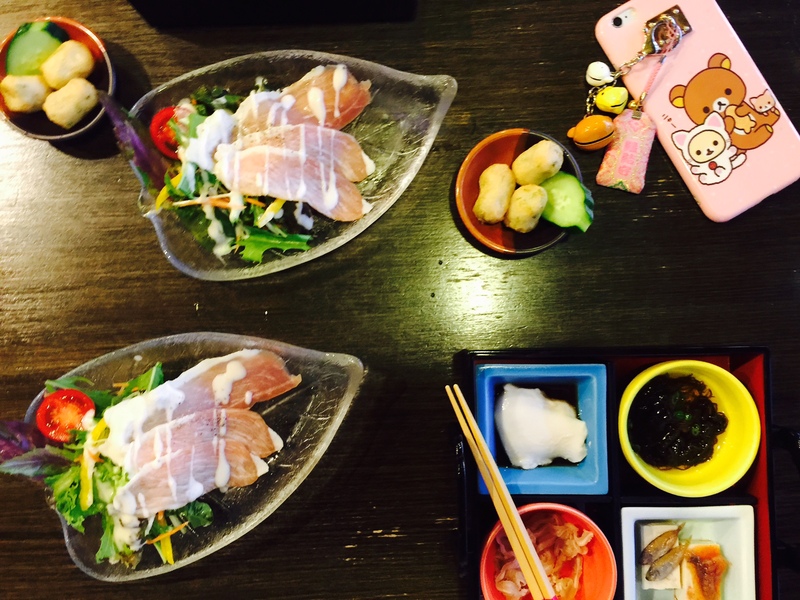 In just 5 days it’s difficult to try ‘all the must-try-s’, but thanks to such a meal we could try a little bit of everything. 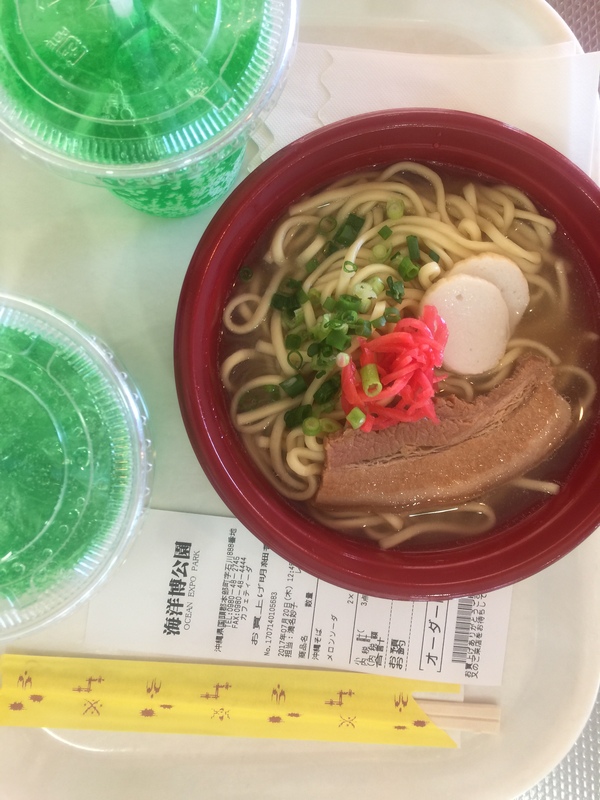 Okinawa is famous for their bitter melon (Sing’s ultimate favorite) and agu pork, but our full set offered much more: sea grapes, tofu with fish, tofu with octopus, soba noodles, vegetable tempura, set of fresh sashimi, salad with agu pork, pork cheek, pork belly, Blue Seal ice cream and many more. As this is made to order, you need to book the set earlier and confirm the day before that you’re going to come. It’s bit pricey, but the environment, the lovely sunset, wonderful service and absolutely delicious food is completely worth it. 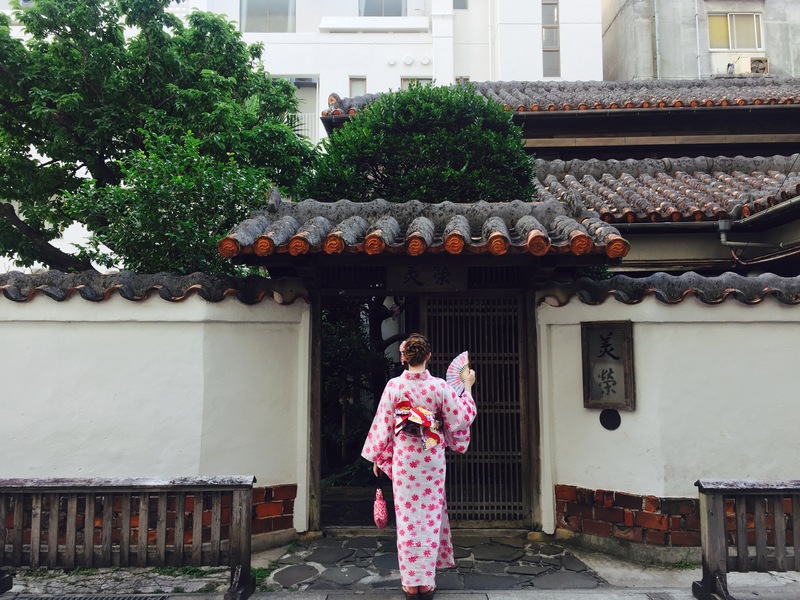 I swear to you, I never felt as pretty as the time I wore my pinky yukata. Not even on my own wedding day! Sing could only say ‘Wow’. 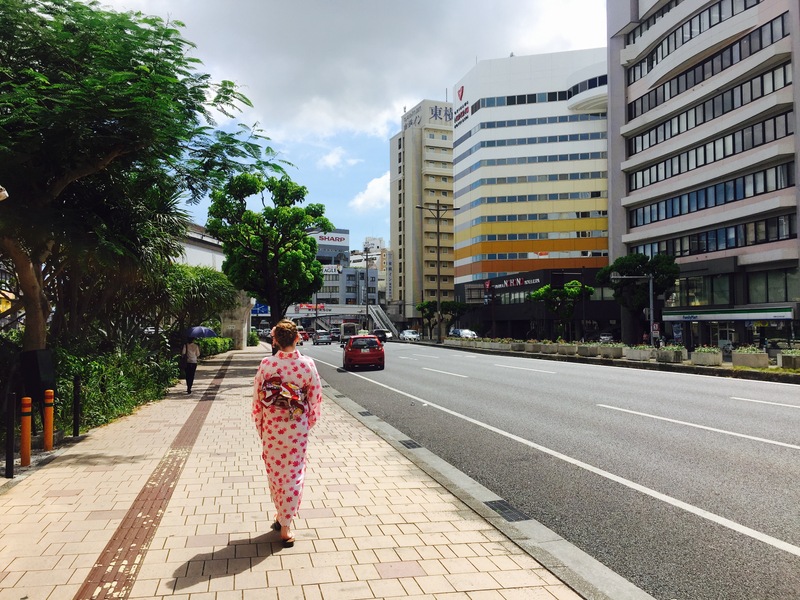 Naha, Okinawa, Okinawa 900-0015 – they also speak English and are super helpful, making you feel like a star!). 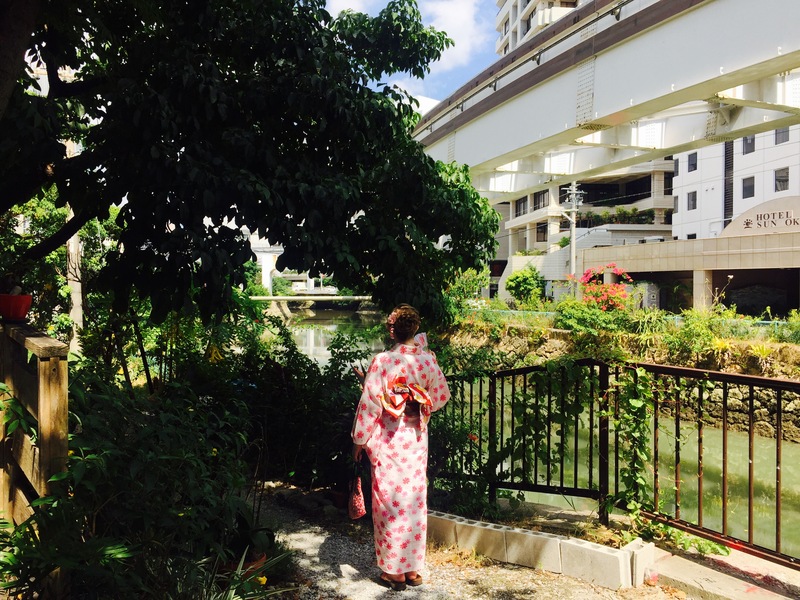 It was super hot and in my head I was admiring all the ladies who insist on wearing yukata during Summer. I wanted to try it for once in my life and the lovely Summer atmosphere was a perfect excuse to do so! 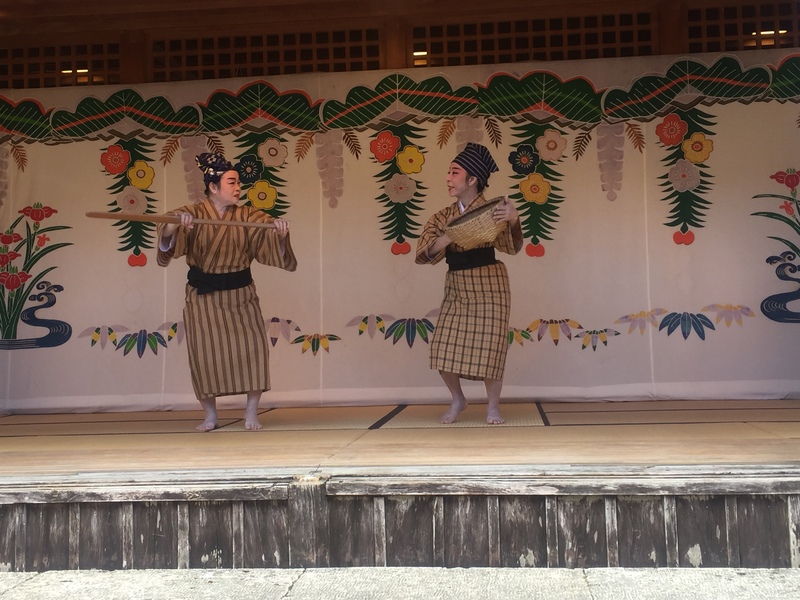 Would love to do it again, this time during a matsuri – sadly the one in Naha was held the week after we left! At least I have an excuse to wear this again! And yes, I really did took 156 pictures just in 2 hours of wearing it. I know it’s on probably every tourist’s ‘To see’ list, so I’m not going to say much about the castle aside of the fact, that of course we went travelling and SOMETHING had to be under construction. Serious warning – if you see us, change your destination or go see a construction going on. There are two things you should do: watch the live performance at 11AM, 2 PM and 5 PM (I believe, I’m sure only about 11 AM and 2 PM one!). 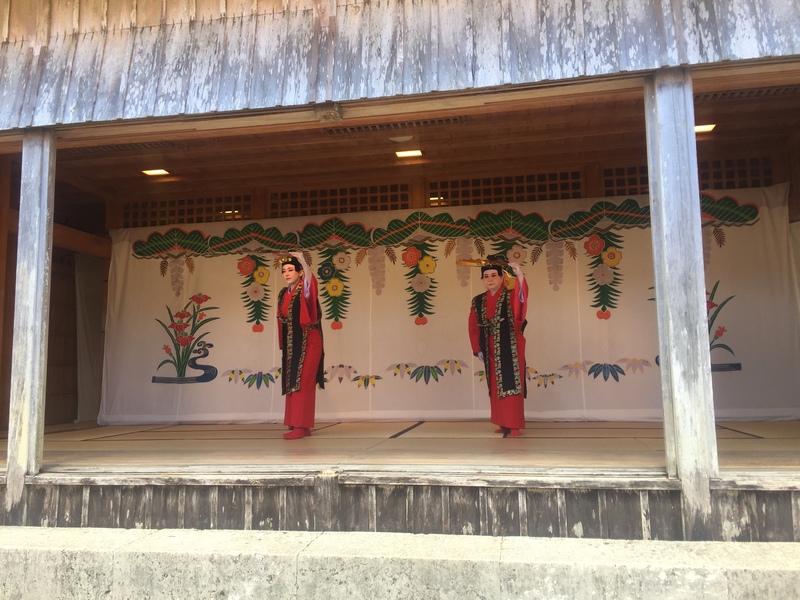 Traditional music, dancing and singing is something always worth watching, even in a high heat. Be sure you come earlier to get your set, because everyone wants to see it. And it’s free, because it’s outside of the castle itself! 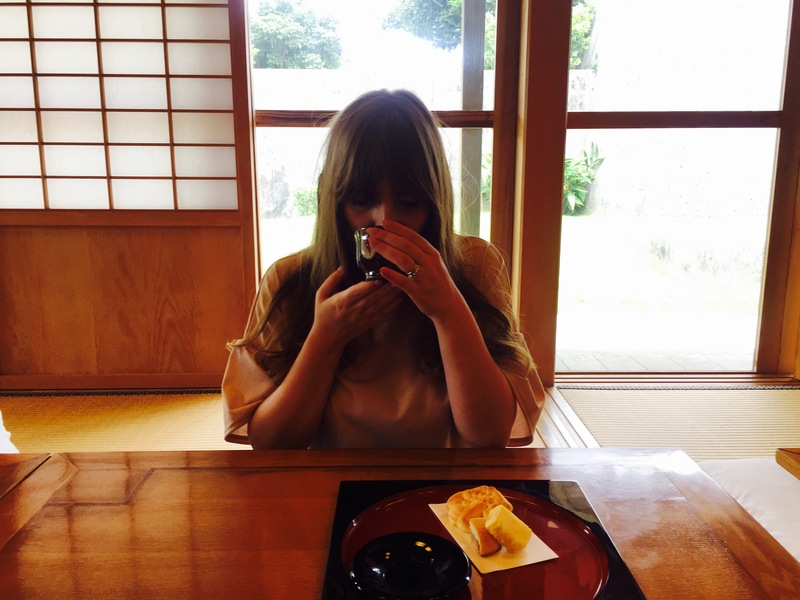 Another ‘must do’ is have a tea set in the castle. While walking around, on your right hand side you will see small wooden lockers. 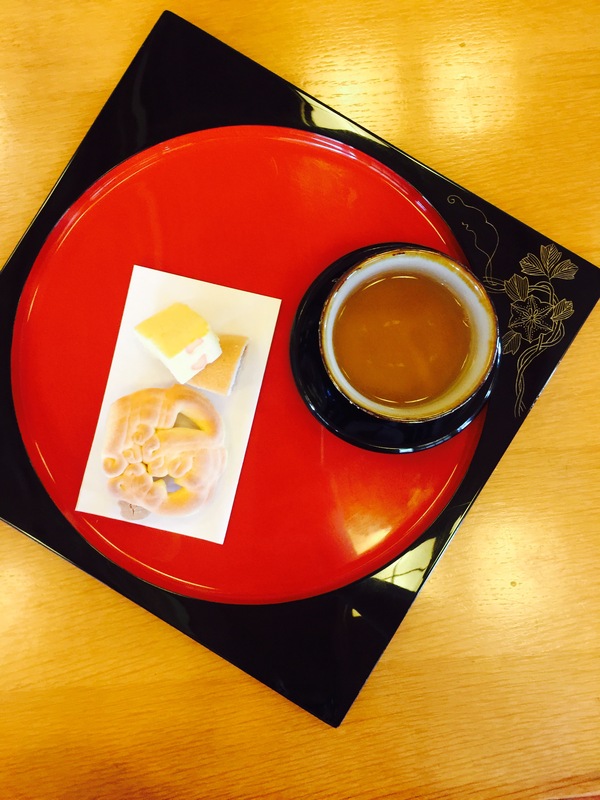 For just 350 yen (3.20 USD!) 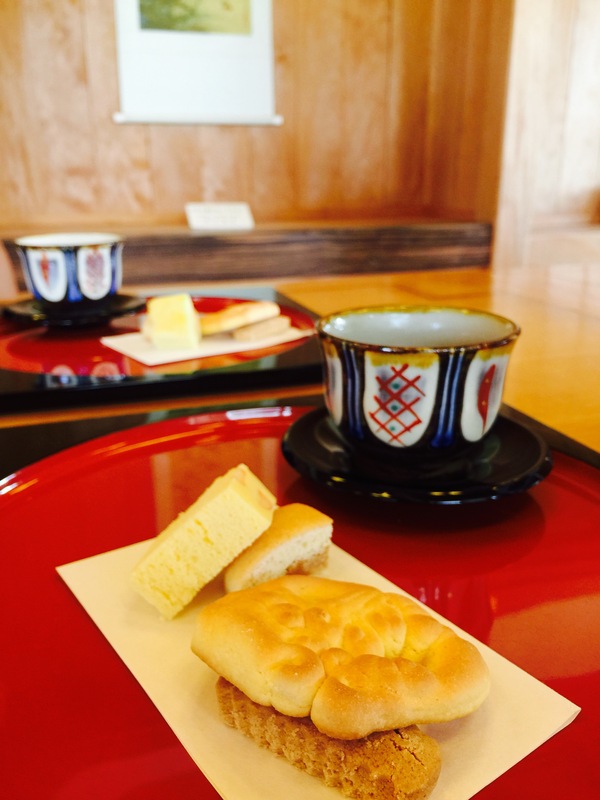 you can enjoy unlimited green tea and set of traditional Okinawan sweets (not unlimited, tho!) in a room where in the past important guest would be served. Magical moment, and so affordable! 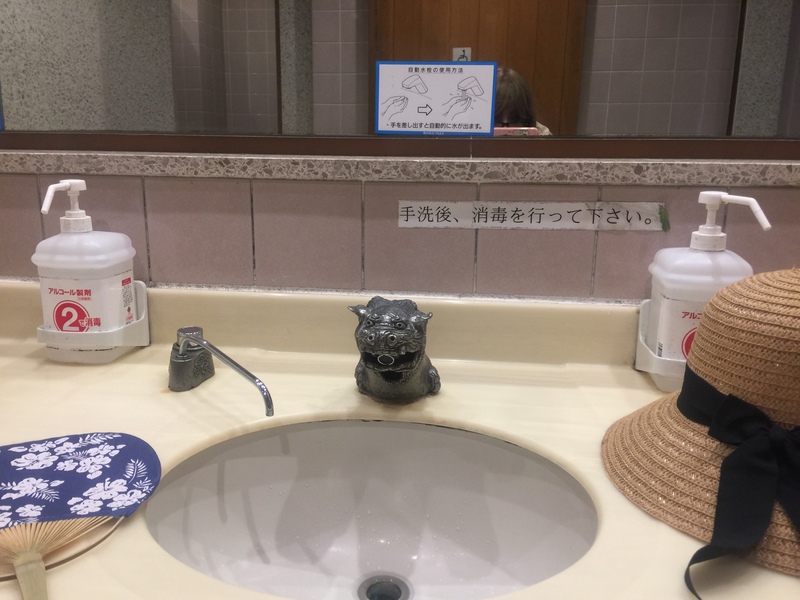 PS Once you’re in the castle, make sure you check out the toilets! 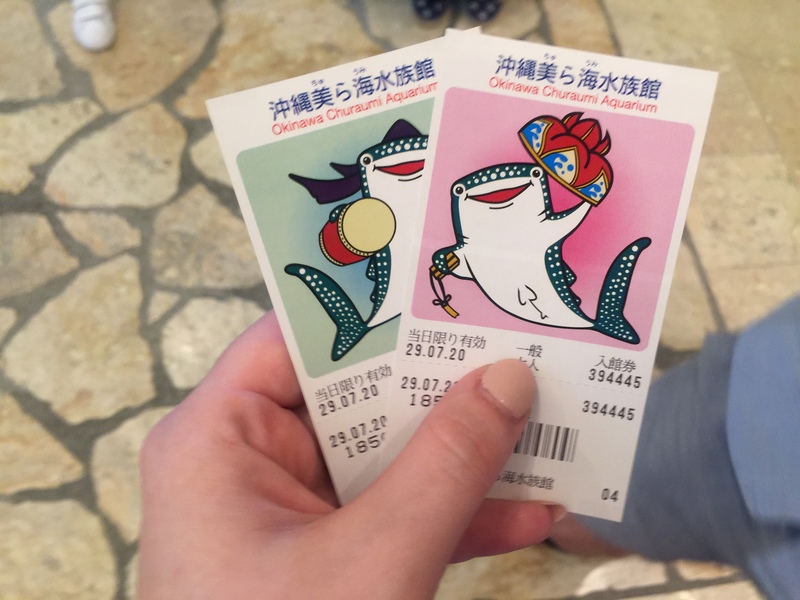 How can you go visit Okinawa and not see the whale sharks at Churaumi Aquarium (424 Ishikawa | Okinawa Memorial Park Ocean Expo Park, Kunigami-gun) – second largest aquarium in the world?! Close to the Aquarium there are two different dolphin shows in which viewers can touch them and watch them perform in a show – we’ve seen the afternoon one and it was 20 minutes of pure joy! There is also a manatee exhibit featuring manatees presented to the aquarium by the Mexican government. 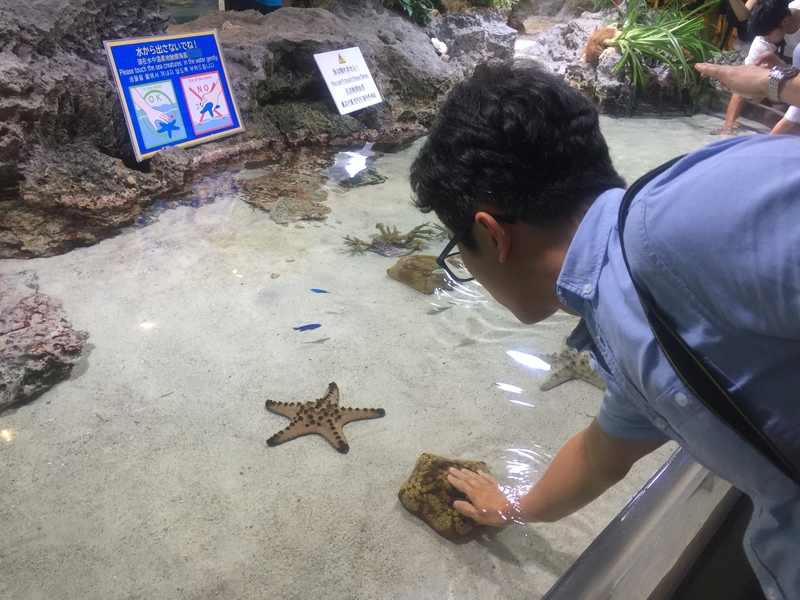 Ocean Expo Park which holds the aquarium also has a selection of other activities like a native Okinawan Museum, Oceanic Culture Museum, Tropical Dream Center, and a Tropical & Subtropical Arboretum to a historic village. One more thing I was forced to mention: sell a salty drink Sing was looking for. Just imagine him with bitter melon chips and salty drink. I hope the park will continue on doing such a great work for species living there and their protection! 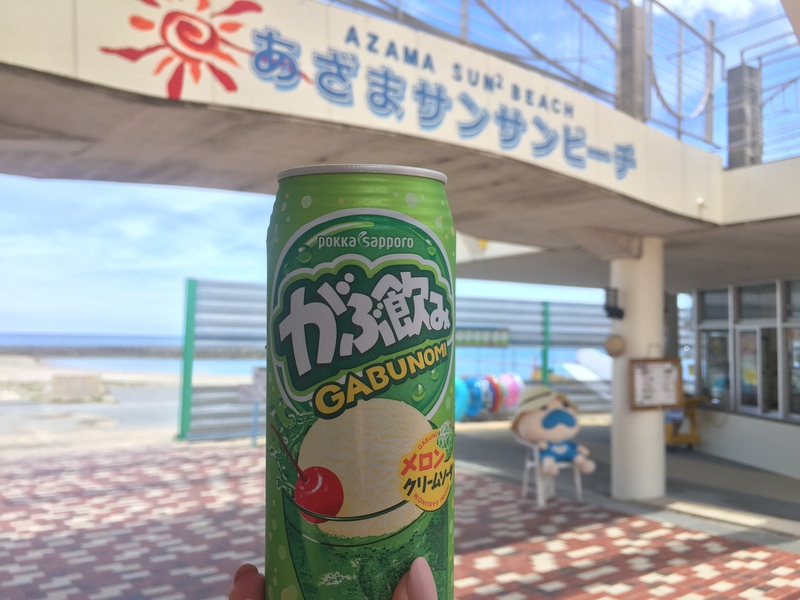 Azama SunSun Beach (1141-3 Chinen Azama, Nanjo 901-1502,) is a beach quite far from Naha, but it’s totally worth going there. 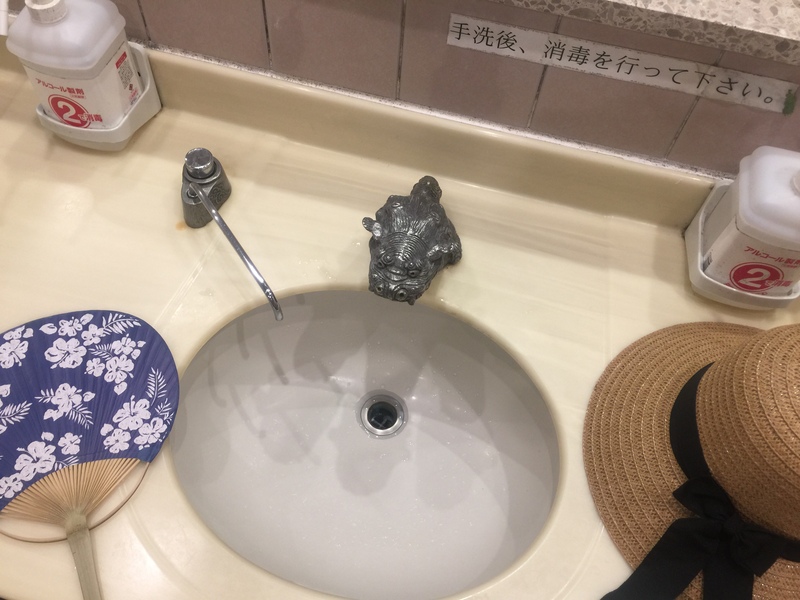 It’s not only too touristy because of it’s distance, but it’s also clean, affordable (parking, drinks, umbrella rental). Aside of swimming you can try other water sports, and at the end of a walking path you have a heart with a bell. I still don’t know if it’s supposed to bring you love, or something – but it definitely gives you cute picture background! 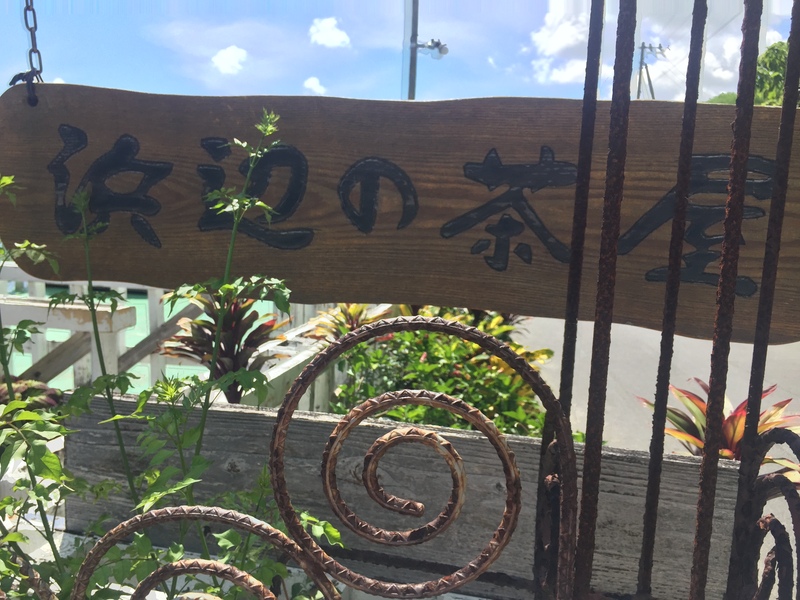 Being far from Naha, the beach is close to another hidden gem of the Island – Hamabe no cha-ya (2-1Tamagusuku, Nanjo-city). Cute little hidden cafe by the sea. You can sit either on the beach, inside the cafe above the beach or on top terrace. 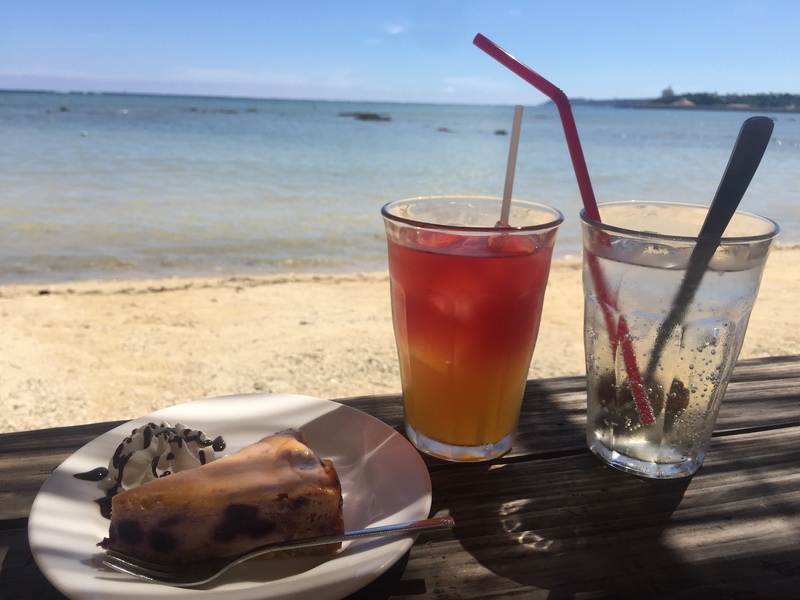 Enjoyed the dessert and drinks we had, with the sea breeze in our hair. 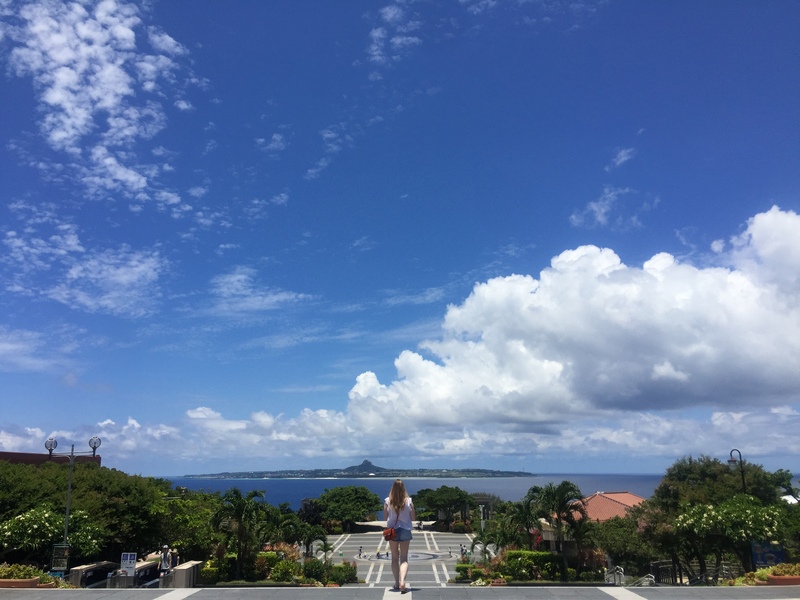 If you ever had the same doubts like me, should you visit Okinawa then I can tell you – go ahead, you won’t regret. 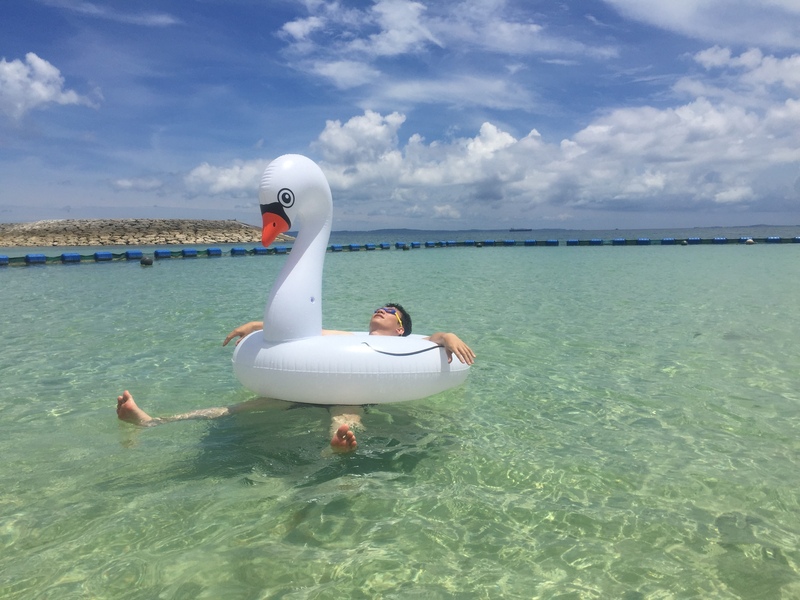 We are already planning our Winter trip to Hokkaido and if it’s going to be only half as good as this trip to Okinawa, then I think I won’t regret it. DISCLAIMER: All the activities were sponsored by ourselves, we just want to share our recommendations with you! 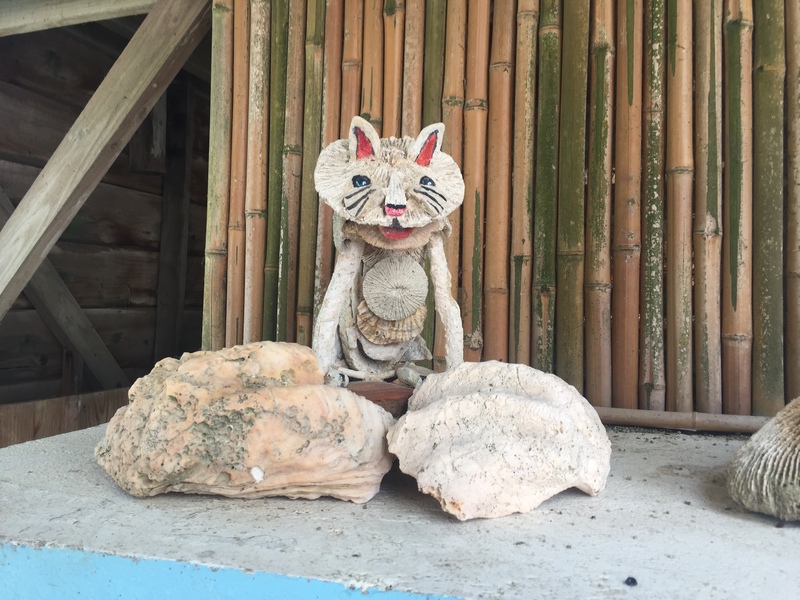 Have you ever been to Okinawa? 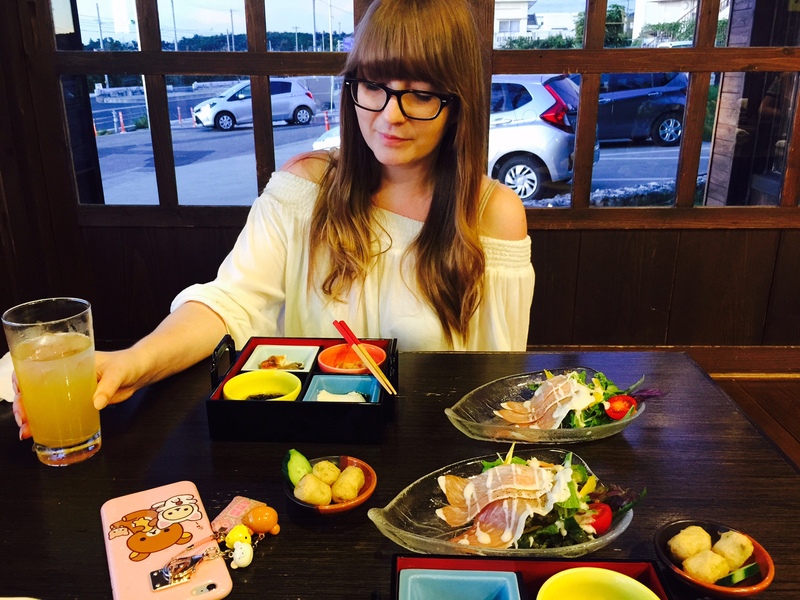 What would be your Okinawa Top 5? I would love to read your recommendations! It looks like you had a wonderful time. Great pictures. 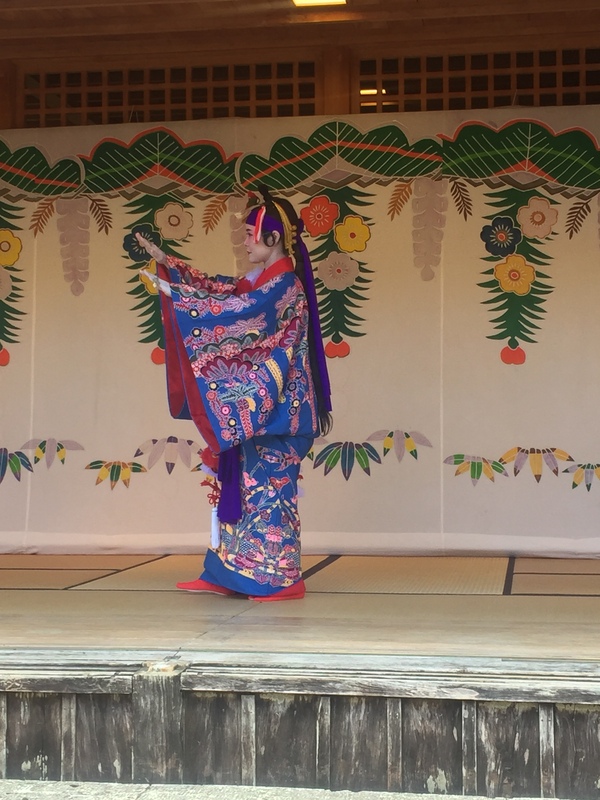 I loved your yukata. Happy anniversary =) Food looks super good! haha bitter melon is so good for you though! Wow Okinawa looks amazing! 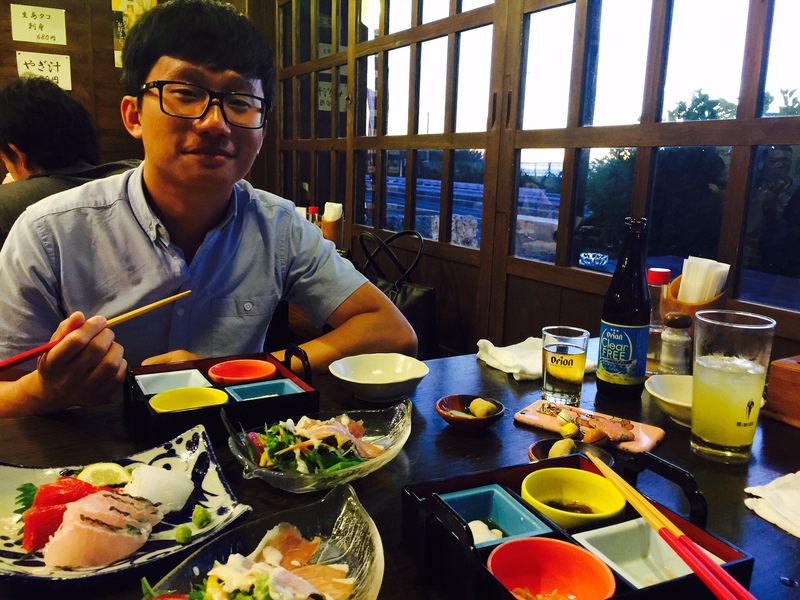 I cant wait until they start running direct flights from SG to Okinawa! Amazing post! It was so easful to read. Happy anniversary! It looks beautiful there! Sure you want to more to Hong Kong and not here?! I get you! I’m sure at some point I’ve offended all my Asian friends! It indeed is an amazing feeling, no wonder people say it’s addicting! You made me dream! 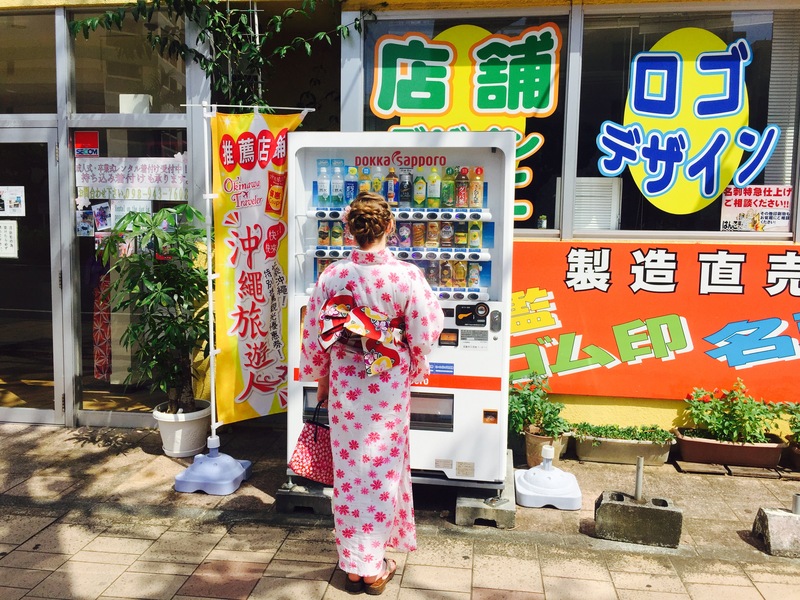 Too bad Guatemala is so far from Japan… And the yukata suits you wonderfully! How lovely and happy anniversary! How wonderful!!! 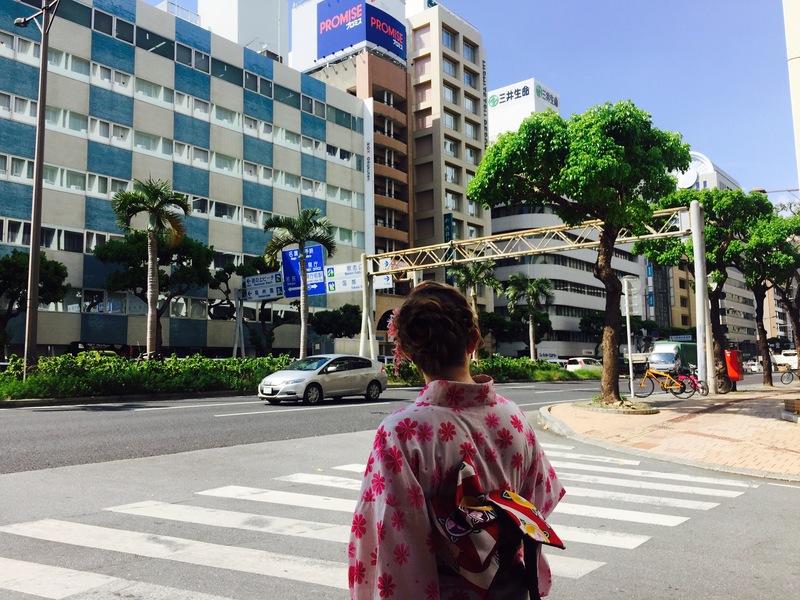 It is crazy, I have that same yukata as you!!! Different obi though. Your obi is bomb! 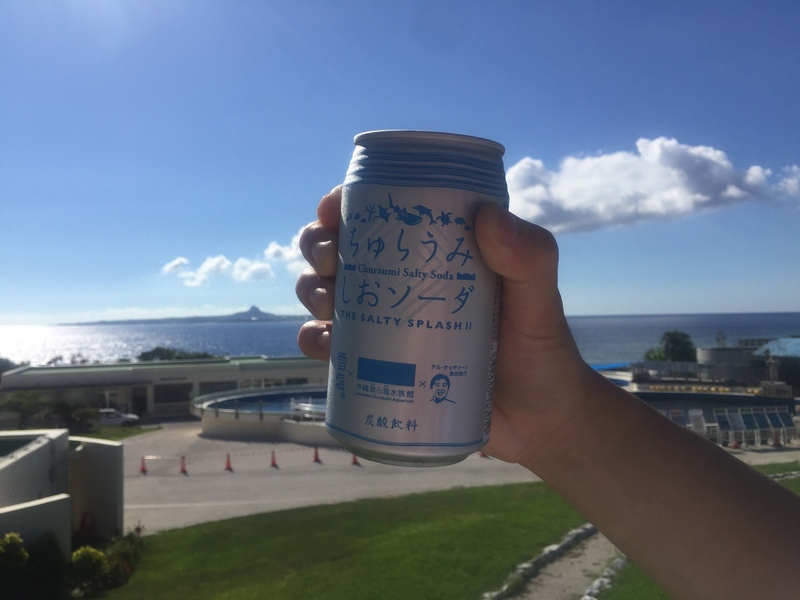 I’ve had Okinawa on my radar for a while! I think it is only a 2 hour flight from Shanghai. It looks like you had a wonderful anniversary! i’m envious. i have yet a chance to visit the south of japan. would love to do so in near future. 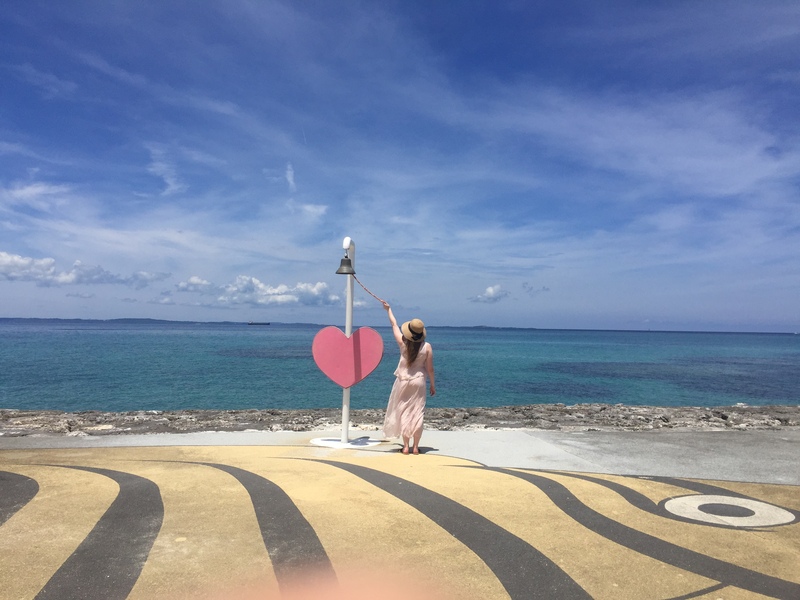 I love Okinawa so much and I hope I can go there soon again. 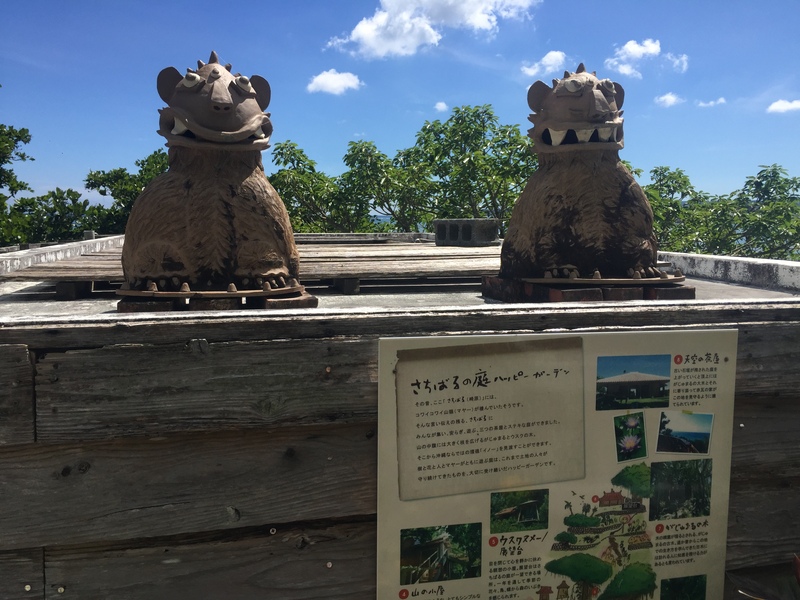 I have also done island hopping around the Yaeyama islands and I liked it even more than Okinawa main island. My next time in Japan (hopefully in June) I’ll check out Yoronjima.